Register the python in environment variable if Python command in Giving error in your terminal. 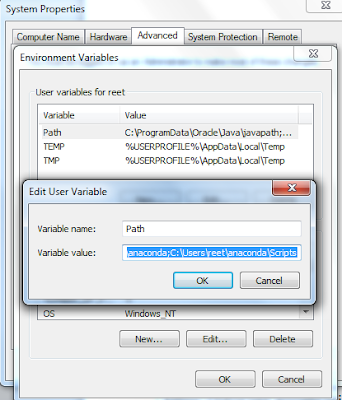 To set the environment variable in the terminal. If above one will not work then set environment using the below path. Add the path into the Last of Variable Value and click on Ok.
Tensorflow for 32 bit Windows Operating system. Tensorflow for windows 32 bit.